Born in 1975 in Minas Gerais, Jan Santos grew up in Rio de Janeiro, where he worked as a financial market analist, and for this reason he moved to Barcelona in 2004 to get his MBA. Interested in gastronomy since he was a child, it is during his stay in Barcelona that he developed a professional interest for it, and he combined his MBA with cooking classes in the CETT of Barcelona. He also decided to get his Restaurant Management from the IAG - Instituto Argentino de Gastronomía-, in Buenos Aires. Motivated by the Spanish culinary diversity, its products, and at the same time the development of new techniques that enrich the gastronomical heritage, Jan went back to Brazil, after his training period of four years in Spain, and he opened in 2010 Entretapas bar-restaurant, specialized in tapas and with the idea of promoting the Spanish cuisines, their flavor, and the culture that surrounds them. Award Rio Gastronomía 2012: Award Best Tapas Bar. Award Veja Rio 2012.- 3 suggestions: Best Emerging Chef, Best Place For Two, Best Bar Food. Época Magazine: Award Best Tapas Bar. Award Veja Rio 2013.- Suggested as Best Tapas Bar. Award Época 2013: Award Best Atmosphere. Award Rio Gastronomía 2014 Suggested as Best Tapas Bar. 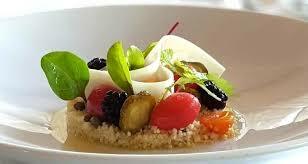 Award Rio Gastronomía 2014: Special Award for First Sustainable Restaurant in Brazil. BIB Gourmand 2015, 2016 y 2017 in MICHELIN Guide Brazil (the guide is publish in Brazil since 2015).